The Bay Area Brit returns! No, that’s no good. The Bay Area Brit—this time it’s personal. Scratch that. Jeez, I thought this would be easier. I’ll name it later. I’m returning to a country that I have glorified and mocked in equal measure. How will I be received? Will anyone care? And that was when it hit me: I should have ordered the pasta. Oh, sorry, I’m still on a plane on the way to London, and every co-passenger with keen vision can get a preview of my ramblings, I mean witty prose. Or something. I suppose when this two-week trip is done and dusted I will look back upon my sojourn wistfully. I anticipate moments of great joy, tears, and reflection with my family. I will also be a tourist. I will be flooded with memories, as I remember both good and tough times in my old Bayswater neighborhood in West London. I’ll also briefly forget why I moved away all those years ago. Of course he doesn’t, and if he does, I think my eyes would look upon him with such poorly disguised pity that it would just be better altogether if I didn’t go in there. But maybe I’ll have a quick peek; maybe the new guy will know what became of Ali. No, no, forget Ali. Sorry, Houses of Parliament, St. Paul’s Cathedral, and Tower of London, you had your day. 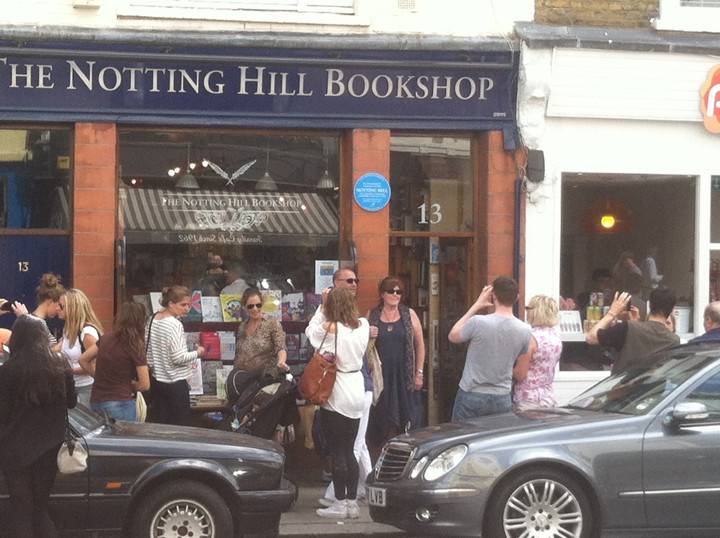 Now, throngs of young people pose in front of the bookshop featured in the film “Notting Hill.” And yes, I’m sure Colin Firth punches Hugh Grant in the face in that film too. I’m pretty sure that people would flock to see any film that has Colin Firth punching Hugh Grant in the face. We live in the age of instant gratification. Social Media rules our daily lives. I discovered that although a lot of the museums have wi-fi, they block websites like Facebook and Twitter. 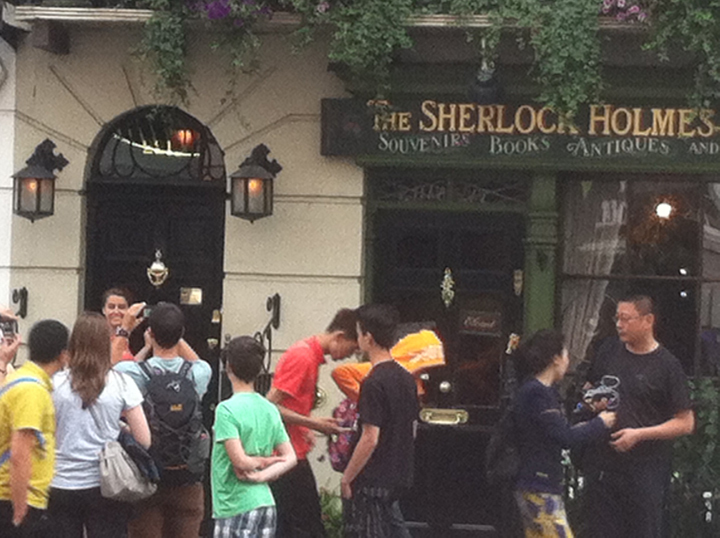 The glossy, black front door at 221b Baker Street stands soberly in the background as hundreds of people take pics of themselves—for free. And you know what? There’s not one single person there to stop the iTourist from knocking on the door, or ringing the doorbell, leaving a steaming poop in a flaming paper bag and running away, or, heaven forbid, breaking into Sherlock Holmes’ digs, only to be massively disappointed that Benedict Cumberbatch isn’t serenading Martin Freeman with a violin. This is the new London and this is the new tourist. iPhone poised, ready to document every thing they see through their camera lens. London is a pulsating, vibrant energy as big and exciting as New York City and just as unpredictable. London was broken when I left and it has been fixed. I mean seriously, central London effortlessly hums along. For a brief time at the beginning of August, it felt like home again. The home I might have never left. When Thomas Wolfe wrote, “You can never go home again” he was wrong (unless you once lived on Alderaan, because, spoiler alert, The Death Star blew that planet up.) However, whether the home you remember (or want) is the same, well that’s another matter. The main thing is that no matter what the future holds for London in the next few years, it seems for now, tourists are pretty happy that Hugh Grant is getting punched in the face.